Performance in the Borderlands is a research, education and public programming initiative dedicated to the understanding and promotion of cultural performance in the borderlands between the U.S. and Mexico, and all the cultures this region comprises. The Performance in the Borderlands initiative is a part of the ASU School of Theatre and Film within the Herberger Institute for Design and the Arts. The Other Side of Immigration is based on more than 700 interviews with men and women from Mexico. 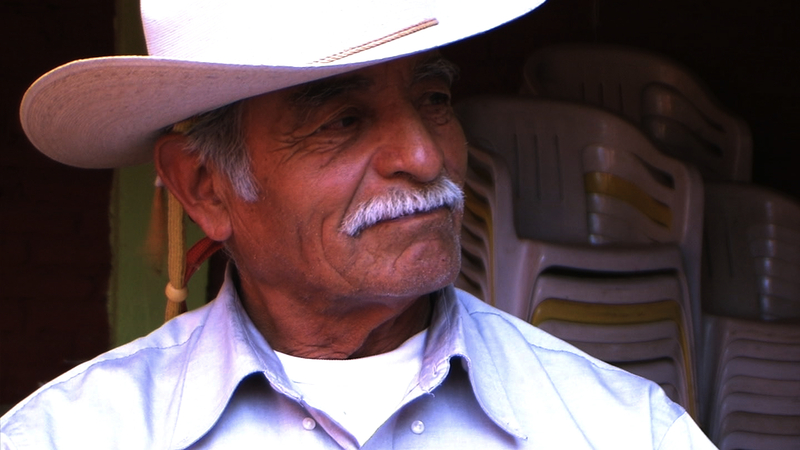 The film explores why so many people leave small, Mexican towns to work in the United States, and what happens to the families and communities they leave behind. According to Tamara Underiner, ASU School of Theatre and Film professor and director of the Performance in the Borderlands initiative, the film seeks to promote understanding of “the other side” of the story. "The voices in the film take viewers across the border, providing critical insights into why so many Mexicans come to the United States, and also gives a rare window into what life is like for the families and communities they leave behind," Underiner says. The Other Side of Immigration was written, directed and produced by Roy Germano, who originally became interested in immigration issues while waiting tables at a restaurant in Chicago in his early twenties. Conversations with his co-workers, the majority of whom were undocumented immigrants from Mexico, inspired him to pursue Ph.D. research on the topic at the University of Texas at Austin. Five years later, while in rural Mexico conducting a survey of over 700 families for his dissertation, Germano brought along a camera and shot what ultimately became The Other Side of Immigration. He earned his Ph.D. in 2010 with UT-Austin’s top honor for a graduate student and currently is a visiting assistant professor of politics at The New School in New York City. The Other Side of Immigration recently had its national DVD release Oct. 26, 2010, and has been presented at over 50 film festivals, universities, and community events in the U.S. and Europe. For more information about the film, visit theothersideofimmigration.com. The Other Side of Immigration screenings are the first in a series of events in Performance in the Borderland’s Voices from theOther Side of the Fence. The screenings are made possible though a partnership between the ASU School of Theatre and Film, the ASU School for Global Studies, and ASU’s New College of Interdisciplinary Arts and Sciences. This event also is sponsored by the ASU West Division of Humanities, Arts, & Cultural Studies; the Master’s Program in Social Justice and Human Rights. For information about the screening, or Performance in the Borderlands, contact Tamara Underiner at tamara.underiner@asu.edu. The film screenings and Q-and-A sessions with the filmmaker are free and open to the public. Visit the ASU School of Theatre and Film on Facebook at: http://www.facebook.com/pages/ASU-School-of-Theatre-Film-MainStage-Season/141384062556129?ref=sgm. The School of Theatre and Film in the Herberger Institute for Design and the Arts at Arizona State University provides a comprehensive range of courses in performance and directing; design and production; new work development; theatre and performance studies; film; and theatre for youth. Its Theatre for Youth program is nationally ranked in the top three and the dramatic writing/playwriting program is ranked 15th among public institutions by U.S.News & World Report. To learn more about the School of Theatre and Film, visit theatrefilm.asu.edu. What happens when you mix Richard Branson, Sam Walton and Jimmy Buffett? You get Zach Hamilton, an ASU junior and student entrepreneur. Read on to learn about Hamilton’s experience in building a venture. What happens when you mix Richard Branson, Sam Walton and Jimmy Buffett? You get Zach Hamilton, an ASU junior and student entrepreneur. Branson, Walton and Buffett are just a few of the entrepreneurs Hamilton admires and enjoys reading about in his spare time – when he has spare time, that is. Most of Hamilton’s days are occupied with owning and operating http://devilwash.com/" target="_blank">DevilWash, a pressure-wash company that uses sustainable techniques and has won multiple ASU funding awards over the past few years, including two Edson Student Entrepreneur Initiative grants. The company has reached such success that Hamilton recently was named one of the “35 Arizona entrepreneurs 35 and under,” by the Arizona Republic. Hamilton joins the “35 under 35” ranks with a multitude of ASU alumni, including Brandye Billeter (Be Heard Public Relations, Phoenix), and Rebecca Finell (Boon, Inc. and Keen Distribution, Chandler), among others. Hamilton is one of just two 20-year-olds to make the list. Reaching such an accomplishment is not without some sacrifice. “Being an entrepreneur is a risky undertaking," Hamilton says. "There are no sick days, holiday breaks or safety nets. It is a 24/365 job.” And, it’s been years that he’s been building this work ethic; Hamilton established his first company at age 12. Connecting with other entrepreneurs is important, Hamilton says. He makes time to network with peers on a weekly basis. Hamilton’s coursework also is providing avenues for him to link up with experts in the community. Through a new mentoring program that partners the ASU Foundation’s Women & Philanthropy and President’s Club members with ASU students, Hamilton is widening his network further. The program, piloted with students in My Life Venture, an interdisciplinary entrepreneurship program, housed in the W. P. Carey School of Business, began its first semester in fall 2010. Through the program, Hamilton was able to network and form organic partnerships that will move his ideas forward. Why invest all of this time in building a venture? As Hamilton notes, “It is important because every success and failure in life has been created by an entrepreneur."